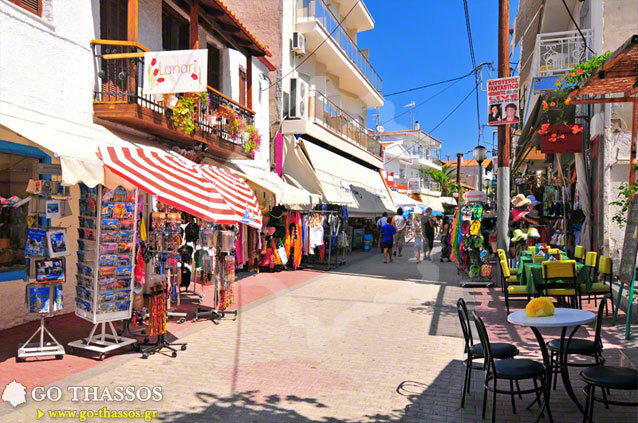 The narrow streets are lined with shops, restaurants, snack bars, cafés and bars while cars and motorbikes are limited to only a few roads in town. 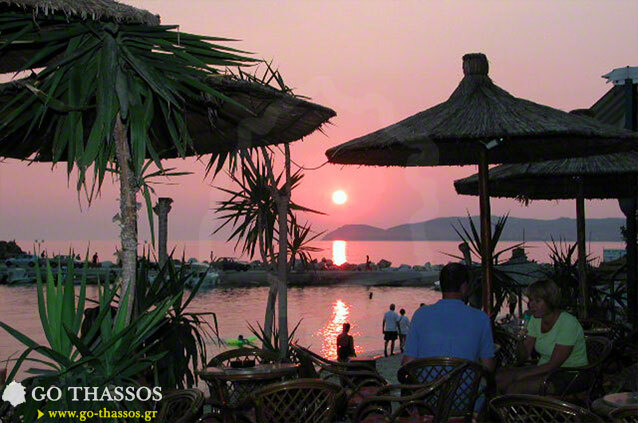 After a long day at the beach, tourists fill the streets and walkways in the evening to do some shopping, followed by a search for a good venue where they can enjoy a cool drink or tasty meal next to the beach and watch the sun set on the horizon, and then party the night away at the numerous bars and night clubs. 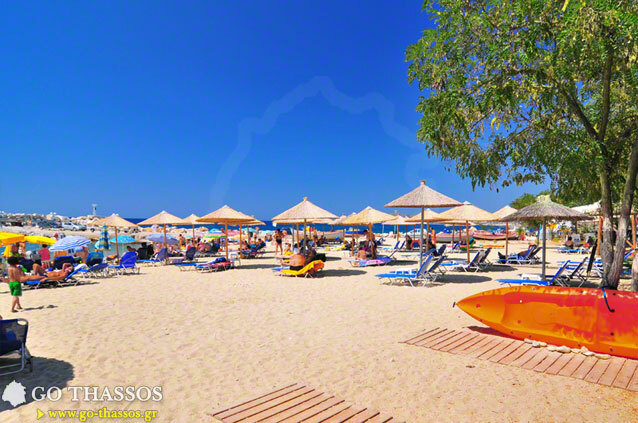 Potos is located next to a very long and sandy beach. 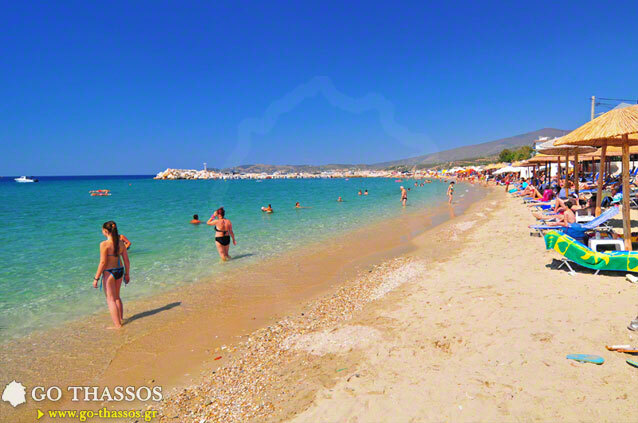 The water is clear and fantastic for swimming and water sports. 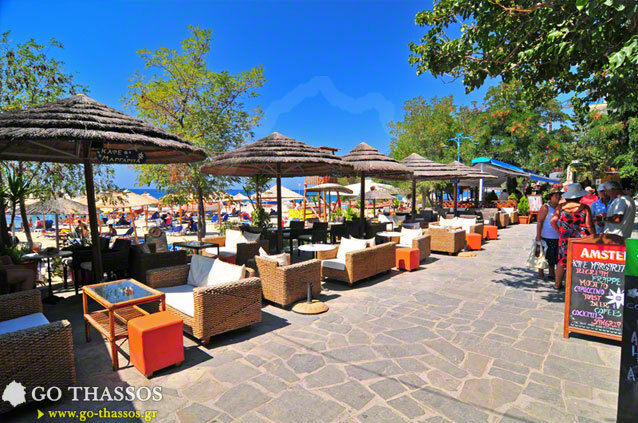 The cafés serve on the beach so just relax, work on your tan and enjoy an endless supply of what ever cold beverages your heart desires. 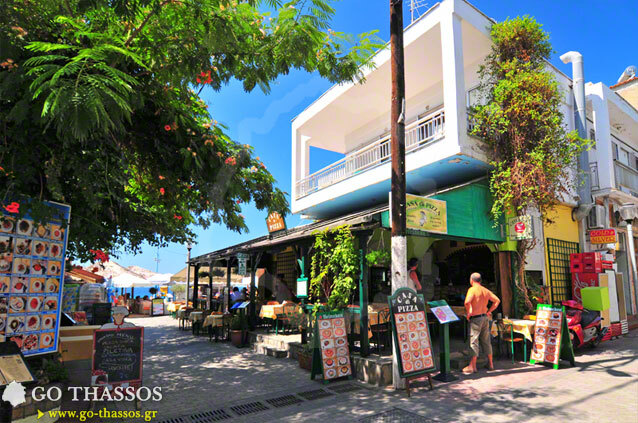 It's a lively place during the day and even more so at night. As you walk along the numerous cafés and bars you will hear all kinds of music, and very likely you'll find something of your own personal taste, where you can hang out, have a drink, and enjoy all the positive vibes around you. At night the area is loud and full of colour, very busy and crowded at times. Young people tend to enjoy the noise and vibrancy, visiting Potos for this unique party atmosphere which is not found anywhere else on the island. Potos has developed into a bustling town with permanent residents in just the last few decades but it hasn't always been this way. 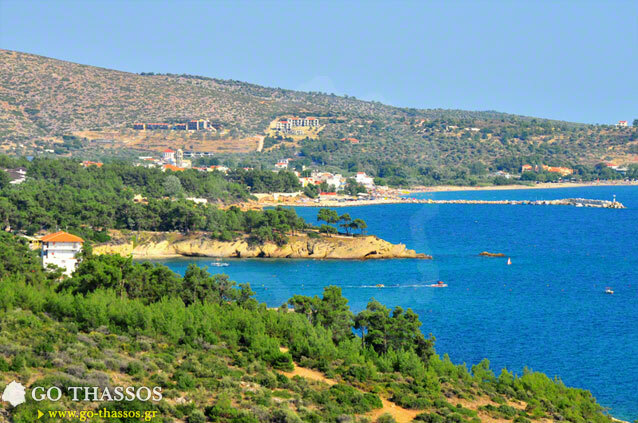 In the past, it was primarily a fishing harbour used by the residence of Theologos, a wonderful mountain village just 10 minutes away by car. Fishing is very good on the South side of the island. 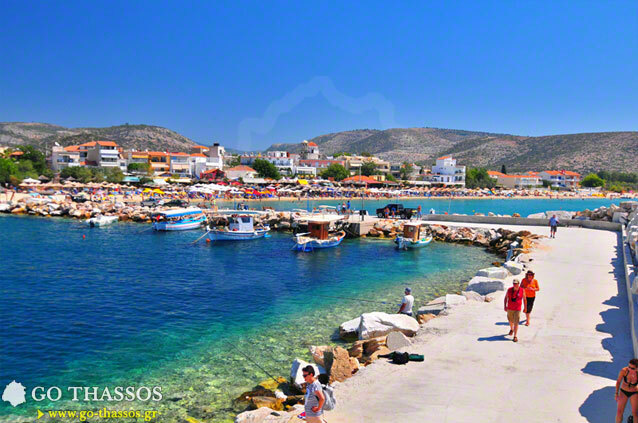 The waters here are deeper and offer a great quantity of fish and a large variety as well. This makes Potos quite a busy area all year round. The Winter season is arguably the best time to go fishing because of the numerous kinds of fish that are available to catch, including local favourites like squid and octopus.